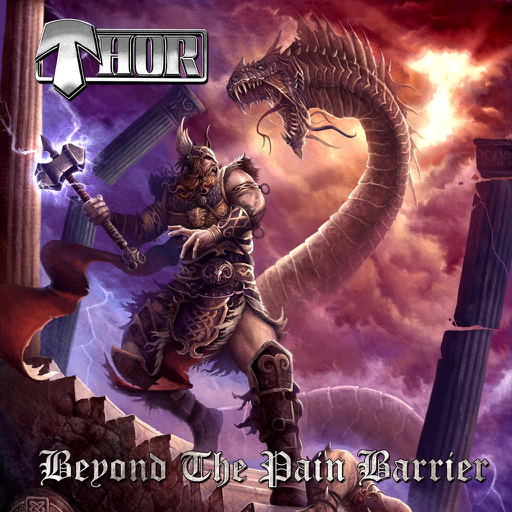 The self-proclaimed heavy metal god of thunder, Thor returns with a new studio album titled "Beyond The Pain Barrier." The album was released on August 4th through Dead Line Music, a division of Cleopatra Records. Thor will also be hitting the road for a 30-date North American tour. The new 12-song release begins with the heavy metal motoring of "Tyrant" and the thunderous pounding of "The Calling" as the music will certainly get your adrenaline pumping. Thor muscles through the power ballad "When A Hero Dies," before picking the tempo back up with the chugging guitars of "On Golden Sea" and the thrash metal speed of "Twilight Of The Gods." The new album finishes with the mystical metal of "Deity In The Sky" and the 7-plus minute epic adventure of the "Quest For Valor." Thor also has a new documentary film being released later this year titled "Return Of The Thunderhawk," which is a sequel to last year's "I Am Thor" documentary. For a complete list of live dates and to find out more about his new album "Beyond The Pain Barrier," please visit thorcentral.net. Is it just me or is this just a really strong album? No pun intended. I really like it.